Sometimes I just have to throw out the watch and not worry about pace/time. One of those runs happened this morning and understandably so. You see, I’ve officially started my marathon training this week which coincides with the hottest week we’ve seen so far this summer. Last week I ran 174 km in 6 days which felt pretty good and then yesterday we got it going by doing a 28km run with 54 minutes of fartlek. After my short PM run I was quite tired. Back to this morning… I started my run out slow, which is usually the case when the mileage is high and workouts long, however I never really picked up the pace much and after a little pit stop I went to re-start my watch and noticed it had been running the whole time. So I said screw it and just stopped it for the rest of the run. I knew the loop I was doing was 18km anyways. This summer when I plan on running a loop I know the distance of I’m leaving the watch at home. That may not sound like a big deal but it’s unbelievably refreshing for some reason. I may also finally get rid of this watch tan. Tomorrow I’m running in a 4 X 100m. Seriously, that’s not a typo. It’s a corporate and celebrity relay held right before the Toronto International Track and Field Games, the last stop on the NTL. I was hoping the race was right before the meet, which starts at 7pm but it will actually go off around 4pm, which means I have to do my second run pretty early. You can bet I’m going to be plenty warmed-up and strided-out before the race, no pulled hammys here. Afterwards I’ll be able to watch some good races with plenty of Speed River athletes in the mix. Last track race of the year (I assume). 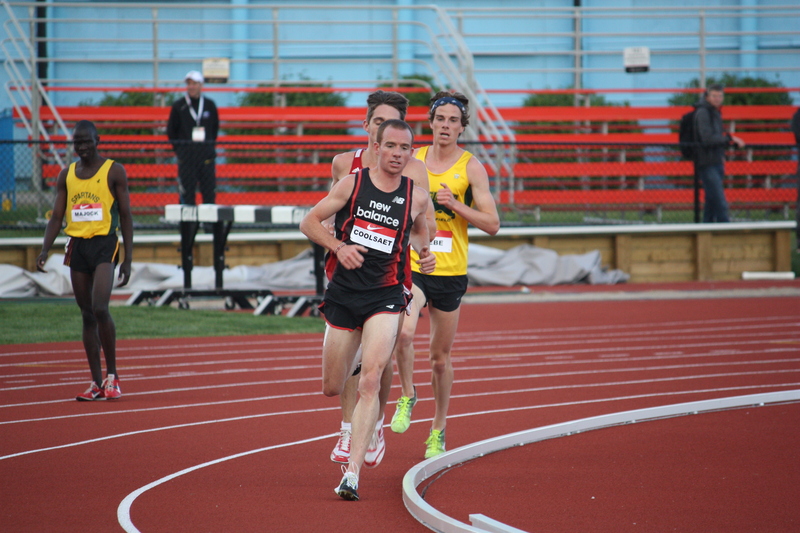 Later stages of the 5000m at Nationals. Here’s a track re-cap video. These videos are part of a bigger project that is in the works. Some of the footage so far is pretty cool and I can’t wait for the final product, but I’ll have to because it’s going to cover over a year. Begin the Begin! Love the R.E.M. reference!